Postage is £3.90 per order, for up to 6 cheeses, then automatically goes up to £5.90, as it falls into the next weight bracket. It is therefore cheaper postage-wise to order more than one cheese at a time. 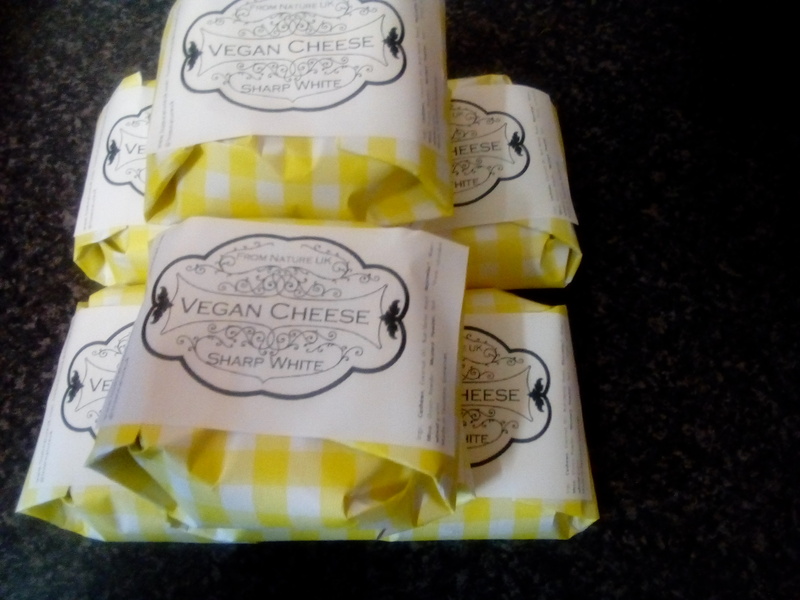 The cheese is set with coconut oil and although I wrap it to keep it cold for as long as possible, it is likely to be soft when it arrives. This does not detract from the quality of the cheese, or significantly impact its shelf-life. Place in the fridge as soon as possible and it will firm up again. It is possible to store the cheese in the freezer if you require. Normal shelf-life is 3 to 4 weeks if kept in a fridge set to around 5C. Flavour will develop further over this time.